NEW DELHI, DECEMBER 16: Symbiosis International (Deemed University) conducted SNAP 2018 or Symbiosis National Aptitude Test 2018 on Sunday, December 16, in a computer-based mode in 92 cities across India. Last year, the total number of exam cities was 102. The exam was held from 2 PM to 4 PM. The University will declare the result of the exam in the second week of January 2019. 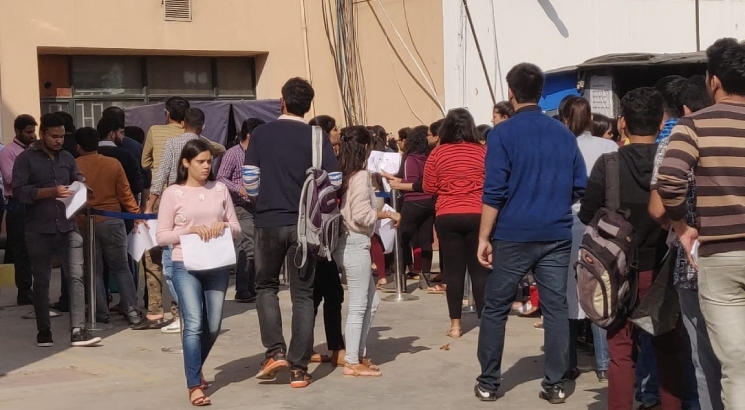 Around 50,000 management aspirants appeared for the national-level entrance test for admission to 15 participating institutes of the University. Until last year, the exam used to have only Multiple Choice Questions (MCQs). The University included 5 non-MCQs this year in the form of ‘Special Questions’ in all four sections of the exam – General Awareness, Analytical & Logical Reasoning, General English, and Quantitative, Data Interpretation & Data Sufficiency. This year, the SNAP 2018 exam pattern has undergone certain changes in terms of the number of questions and introduced Special Questions, which are non-MCQs or Type in the Answer type questions. The table below brings the detailed exam structure. Each question carries one mark and special questions carry 2 marks for each question. Every correct answer will give 1 mark and each incorrect response will deduct 25 percent of the allotted marks. Normal Questions +1 Each incorrect answer detects 25 percent negative marks for Normal Questions and for Special Questions also. After the declaration of the result, the University will start the selection process. Candidates will be shortlisted on the basis of their SNAP 2018 scores and the shortlisted ones will be called for Group Exercise (GE), Writing Ability Test (WAT) and Personal Interview (PI). The overall performance of a candidate in all the selection rounds will be analysed for the final selection. The University is expected to announce the final merit list for admissions in the fourth week of February 2019. The selection rounds (GE, WAT and PI) are likely to be conducted in the first week of February 2019. SIU or Symbiosis International (Deemed University) conducts SNAP annually for admissions to various postgraduate management programmes in its 15 constituent institutes. The University offers around 1800 seats in total through SNAP.